With 32 games of this summer’s Big Bash League now behind us, we have finally crested the hill of the longest BBL season ever. And that means it’s as good a time as any to start passing judgements on teams. With the Sydney Sixers losing to the Melbourne Renegades in Sydney last night, the BBL table looks this way: Hobart (12), Renegades (10), Sydney Thunder (8), and the Adelaide (8) rounding out the top four, and with the Sixers (8), Brisbane (6), Perth (6), and the Melbourne Stars (6) following in behind. And it’s a fair bit different to how I expected the table to formulate this summer. Though I didn’t publish any predictions at the start of the season, in my head, I’d grouped the eight teams into three loose categories. Adelaide and Perth were definitely going to make the top four, and the Sixers and Stars definitely weren’t. 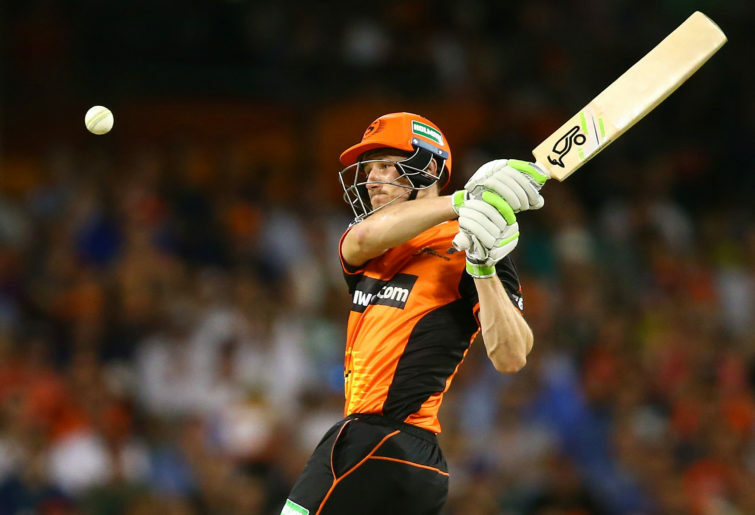 The Strikers and Scorchers’ squad just had qualities all the way throughout that the Sixers and Stars could only dream of. And then I had Hobart, Brisbane, the Thunder and Renegades in a middle group that were probably good enough to make the top four and play finals, but they would need something to go right, or someone to really fire with either bat or ball every game. So with that in mind, here’s how I see the eight teams at the halfway point. 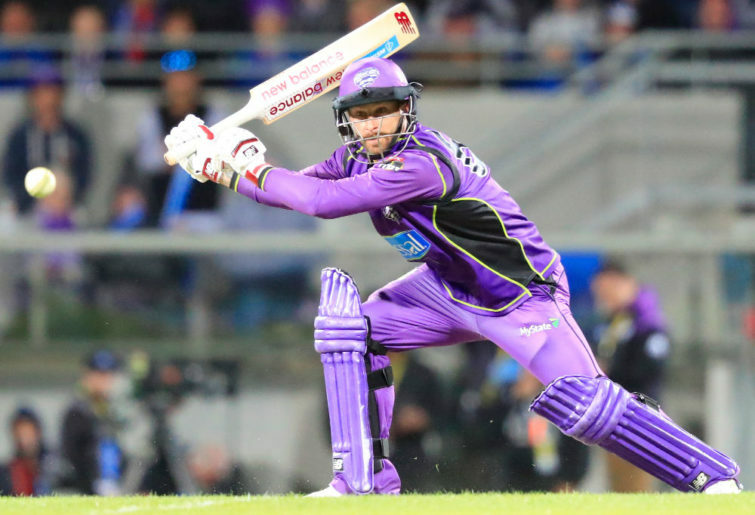 The Hurricanes have been the competition standouts, look to have steadied their ship since their one and only loss to the Renegades in Melbourne early last week, and are really cashing in on the form of Matthew Wade and Darcy Short at the top of the order. Both sit in the top five run-scorers for the competition, and though they haven’t been required a whole lot, there’s been solid support from the middle order below them. Short’s been dropped from the Australian ODI squad, and Wade is deep into making-runs-to-spite-Trevor-Hohns mode. While ever both keep piling on the runs, Hobart are going to take some beating. They’ve got a game in hand on everyone else bar Brisbane, too. The Sixers still don’t enthuse me as a team, but they’ve managed to win games they had no right to win, and so are obviously doing something right. But I do think they’re over-reliant on a couple of players. If two of Jordan Silk, Moises Henriques, and Daniel Hughes fail with the bat, the Sixers battle to post decent targets. But then again, Steve O’Keefe, Tom Curran, and Sean Abbott are all in the top ten wicket-takers. You’d think I’d be more convinced about their performances than I am. But I still feel like they’ve been winning games in spite of themselves. Last night’s batting effort against the Renegades was ordinary, and they then couldn’t back it up with the ball. I wonder if this is the point where the Sixers stagnate? Adelaide were always going to be there or thereabouts, and I’ve seen nothing from them to change my mind on that. They seem to be coping well without Alex Carey currently, and having Travis Head back is definitely helping that cause. Having one of the best Twenty20 bowlers on the planet in Rashid Khan definitely helps too, and it’s equal parts astounding and frustratingly annoying how few Australian bats can pick him out of the hand. They’re well served in the batting departments, their death bowling might be the best in the competition, and I think a successful title defence is very possible at this point. 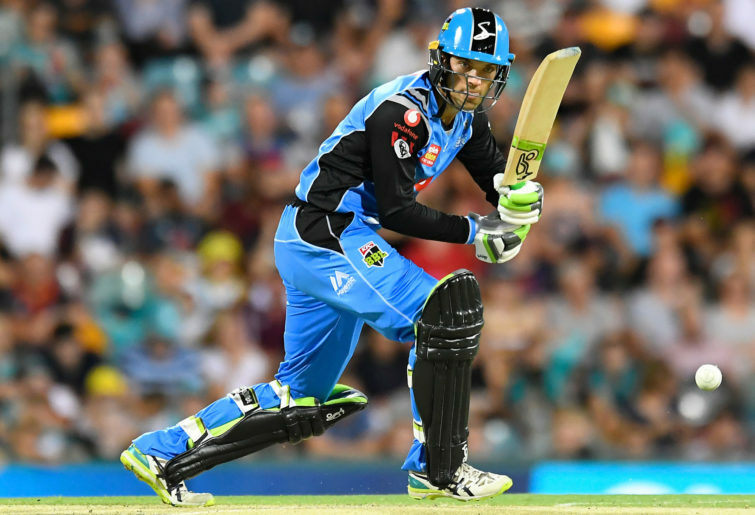 The Thunder and Renegades are both on par, too, for the simple fact that they still need a lot of things to go right to make the top four, never mid being a force in the top four. Though the Renegades have now played an extra game (as have the Sixers) over the other six teams, they and the Thunder are in a similar form line. They’re going OK, winning some handy games (Renegades beat Hobart last week as mentioned, and they’ve beaten the Strikers in Adelaide, too; the Thunder have produced two really good bowling efforts to defend low scores against the Sixers and Perth), but also dropping games they should’ve won. I still think they probably can each make the finals, though I do wonder if they’re gunning for the same spots. And the Stars are well on par. I didn’t think they’d amount to much, and they’re very much playing to that prediction. Their only hope would appear to be when Glenn Maxwell, Marcus Stoinis and Peter Handscomb return from ODI duty. Melbourne Green are in desperate need of class players, and I remain confident in my prediction about them. Well, I thought Perth were finals definites like they just always have been, but it’s going to take a major upturn in their form line to get there. Losing Jhye Richardson, Jason Behrendorf, and Ashton Turner to the ODI squad has hurt, and maybe getting them and the Marsh brothers back can be what sparks them back into gear. There’s certainly still plenty of games to come, but I’m not sure about them now. I think they’re a bit too inconsistent at the moment. And Brisbane are battling for sure. Brendan McCullum’s hit three fifties on the trot and Chris Lynn is the only bat with Short above 300 runs for the season. But there’s been precious little else from their batting, and their bowling is even worse. I pulled this info out in a Twitter conversation recently, but the Heat have taken only 35 of a possible 70 wickets this BBL, and the win over the Renegades in Geelong on Sunday was the first time this summer they’d bowled a team out. Brendan Doggett is their highest wicket-taker with six, which puts him 24th on the competition tally. Perhaps the ultimate insult about Brisbane is that they’ve replaced the Sixers as my other comfortable bottom two side.